Worried about injuring yourself on our solid oak saddle seat stool with horn if you’re having a little too much fun? OK, we’ll fix you up with one without the horn! 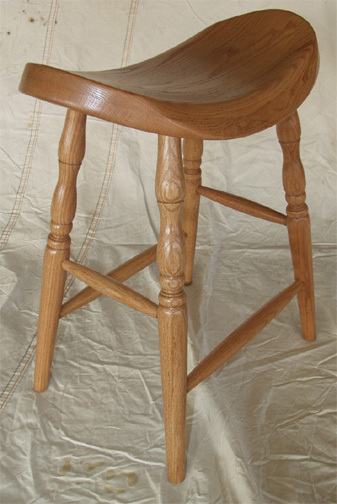 Built by Amish craftsmen to the same high quality as the horn version, and available in a variety of heights, these extremely popular stools are sure to be a hit, and you’ll be surprised at how comfortable they are.